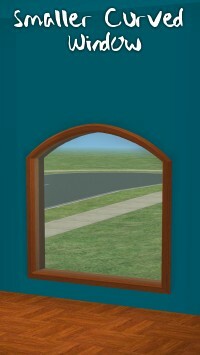 As requested by chantaecarter, here are remodeled 1-story windows based on the 2-story The "Light Pane" window by Maxis. There are three separate windows that you can combine in different ways. The square window has been resized to fit into one story. The smaller curved window is the same size as in the original window, and the bigger curved window is a full-length version of it. - No expansion packs are required for these objects. 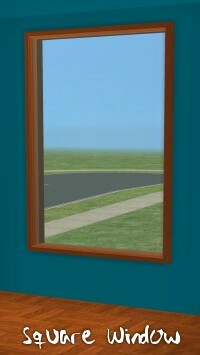 - The windows borrow their textures from the Maxis originals, including any recolors you may have for them. 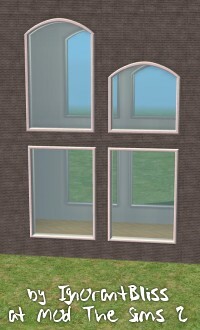 - To recolor these windows, recolor the 2-story Maxis window. 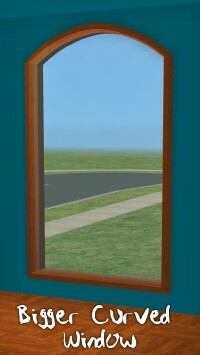 These windows themselves aren't recolorable (since they borrow the textures from the Maxis one). - You can freely share the meshes along with recolors you make as long as the mesh file stays free to download at all times, and you post a link to this thread. - The windows can be included in lot downloads at free sites. 911 people have said thanks to IgnorantBliss for this download.